Ryanair cabin crew unions in Portugal, Spain, Italy and Belgium have threatened to take coordinated strike action over the summer if the airline does not agree to certain demands by 30 June this year. The decision follows a meeting of the unions SNPVAC, SITCPLA, UILTRASPORTI, USO, and CNE/LBC in Lisbon today. 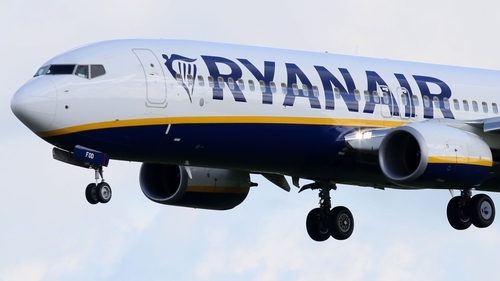 In a position paper issued after the meeting, the group of unions says Ryanair must apply imperative national legislation to the contracts of employment internal Human Resources procedures in all European countries, in line with an EU regulation. It states that Ryanair must initiate negotiations with the representatives appointed by each union, without imposing any restrictions. The unions also insist that Ryanair must apply the same terms and work conditions to all Ryanair cabin crew including agency staff recruited through agencies including Workforce and Crewlink. It concludes by warning: "If Ryanair fails to comply with these terms, the undersigned unions will initiate all the statutory and legal procedures to call a coordinated industrial action, including the use of strike action, during summer of 2018." Asked for a comment on the threat of industrial action over the summer, a spokesperson for Ryanair said: "We don't comment on our negotiations with our people".